This is one of my new obsessions.......the waterfall braid! I had a friend come over last week to model for me, as I wasn't sure how easy this would be to recreate on my own hair (mine is very layered and I have a thick fringe). I was pleasantly surprised that it only took 10 minutes to do on her hair, and you can see from the image how pretty it looks. This is style is perfect for anyone who likes to wear their hair down but off their face. 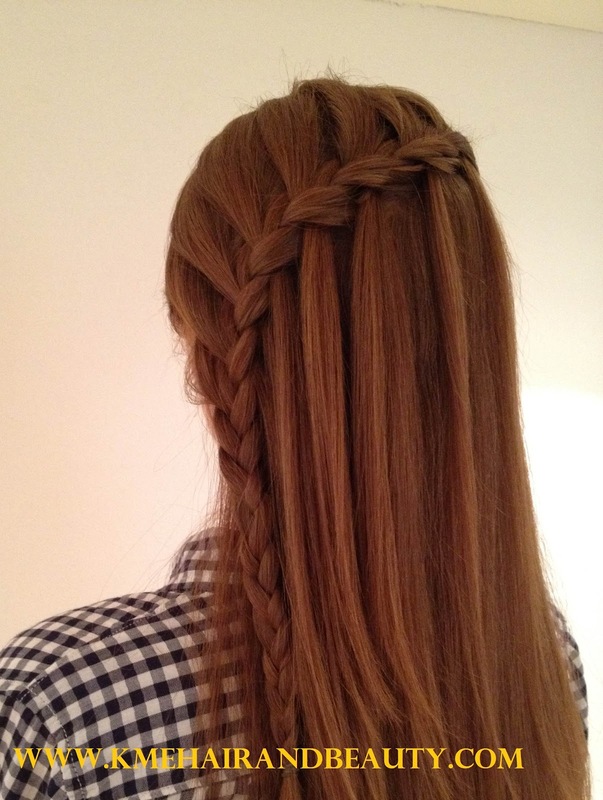 Its ideal for someone with long hair and long layers as it can be fiddly to achieve on shorter hair. 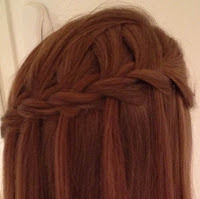 I will be bringing you a 'How-To' for this style very soon so watch this space!